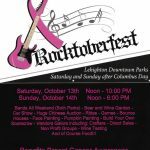 The Lehighton Downtown Initiative will holding their 3rd Annual RockToberfest on October 13th and 14th. 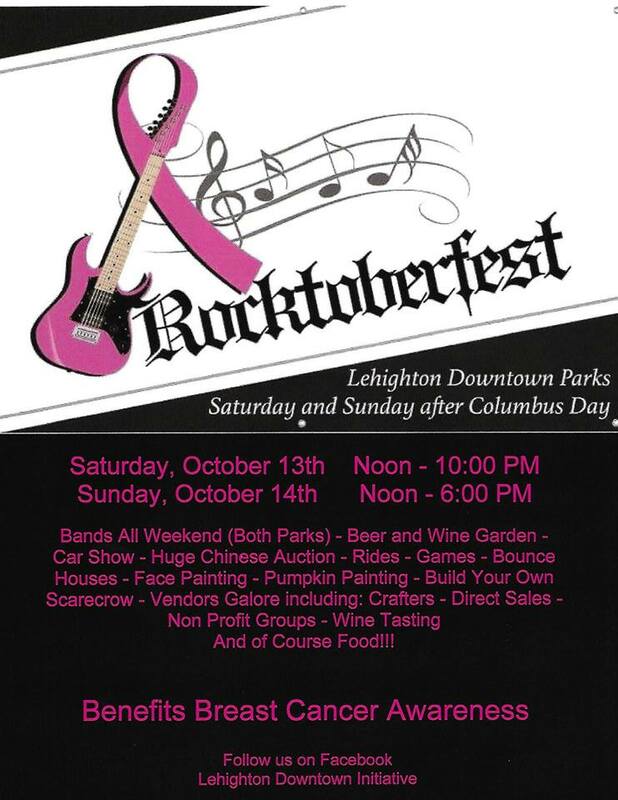 RockToberfest is weekend-long event benefiting breast cancer awareness with the event raising $3000 for the PA Breast Cancer Coalition in 2017. The festival features live music the entire weekend at both parks in downtown Leighton, a beer and wine garden, rides and activities for children, car show, huge basket raffle, build your own scarecrow, pumpkin painting, craft and merchandise vendors, a wide selection of delicious food, and much more.